Facebook is the largest mean of communication on the Internet but like everything, it is far from being perfect. Like ourselves, it constantly needs to improve itself in this ever-changing modern world. Its creator, Mark Zuckerberg, has a well-developed marketing strategy and at the beginning of the current year, he announced the new algorithm on Facebook, which gives the advantage and prioritizes the interactions between friends and families in the News Feed and decreases the importance of the content from brands and companies. It became almost impossible for companies to have the priority in the News Feed with the unpaid content, so-called – organic content. This algorithm actually enabled people to get the feeling of an old Facebook when it was used only to connect people, friends, and families. While reading this it is certain that all of you are wondering what are you supposed to do to prioritize your business in the News Feed and how it will affect advertising your brand on Facebook. How can you continue to provide your followers with the quality service and still be well advertised on the biggest social network site? This is not a simple task, but if you inform yourself well about the new changes, they can actually work on your behalf and even make you more connected with your followers. Continue reading and I will bring you forward with the newest Mark Zuckerberg’s webinar and advice he has to offer. We all know that in its humble beginning Facebook placed itself as a network that allows families and friends to stay in contact and it is returning to its roots with this new algorithm. Now, the most important is not the amount of time you spend on Facebook, rather than your actions on the site. The biggest social media network wants you to be less passive and not to just scroll lazily without any interactions with other users. You need to make more effort if you want to communicate the message successfully. What should a business focus on to stay in the prioritized News Feed? Hearing about this new algorithm, most of the leading companies got worried because they were not sure what they were supposed to do to constantly stay in the prioritized News Feed. Mark Zuckerberg explained that he wanted to make a space for more meaningful content, interactive content, which resembles more real-life conversations, and that the businesses should work hard if they want for their customers to trust in them. 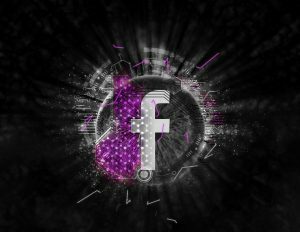 The main goal of the new algorithm is that the time spent on Facebook should be a quality spent time, as Mark himself explained at his webinar for publishers. With their network’s success, it’s not crucial the time people spend on Facebook, they want for them to be constantly engaged while communicating through the network. One of the most important and highlighted thing in this new algorithm is the comment you leave. Pages on which family and friends comment between themselves will have bigger visibility in the News Feed. Brands should work on posts that contain more questions and sparks more interaction between friends. For example, your Facebook posts will be more popular if other friends are commenting on them. The same goes for the ”love, haha, wow, sad, angry” and ”like” buttons. If people mostly choose those stronger emotions over a simple ‘‘like”, you will have a better boost in the News Feed. That is good information for brands, as long as they post content that sparks some emotions, they can expect some quality response. Here is something that maybe sounds strange, but if you think about it, it’s quite logical actually; the content you share with your friends through Facebook messenger will be viewed as a high priority in this new algorithm. If you took time to send the content to a friend or relative that means the content is more important than the one you just comment on. For that reason, it will be valued as a high priority, because you thought it was worth your time as well as that person’s you just sent the post to. So, there is no more simply sharing the posts, you need to be active, comment on them and encourage others to comment as well by sharing posts with them or tagging people. Comments, where people respond often, will be of the most importance. Think about it, it’s not that important if you simply comment on some post, it’s important if what you said inspired people to react and express their opinion about the topic or the product. If you thought this is it, that you only need to follow those instructions and you will have high visibility on the News Feed, well then you’re mistaken. It is just a little bit more complicated than that. The Facebook algorithm also cares about the average time you spent on some content. Did it make you get yourself involved and active? If it did, then it’s a success. However, it’s not quite specified if the time spent is only what it counts; presumably, it will be better explained during this year. Keep making those live videos! Another info, you need to be careful at what time your content is posted. A perfect time for your posts is when a lot of people are online and then you’ll get a slight boost. Interestingly, the stories that have the most boosts in the News Feed are the live videos. Keep them posted as much as you can and try to inspire people getting involved and commenting on your videos. Don’t be afraid to share your ideas and ask for others ‘opinions. One of the most important things in this new algorithm is the increase of the organic reach. That means that Facebook supports the main reason for Internet existence – posting valuable information that is free for everyone. If your goal is to increase your popularity, focus on the live videos. Post them as many and as frequent as you can, because you can have live interactions with your followers and instantly show them your content. The good example is National Geographic. They literally take their followers to some distant safari or some steep mountain through their live videos. People who are not able to travel often will fall in love with videos like those because they will have the feeling as they were there. However, you don’t have to be a traveler to affect and inspire your followers, just be sure to know your audience and their interests. What does it mean to run a successful business page? If you want to successfully run a business page, it is advisable to complete your Facebook profile to the fullest and try to keep your posts informative for the group you want to target. You need to be and to look legit for your business to thrive. People love details, it gives them some assurance that what you do isn’t just some another scam. Internet nowadays is not that trustworthy, so be different and gain your customers’ trust. There are various means how you can assure your targeted audience that they can trust you, therefore, it’s strongly advised to focus on these. The more they trust you, the easier for it’s going to be to reach that top on the News Feed. For example, working side-by-side with an already trustworthy website gives you a lot of credit and people who already use the services of that other website will accept you on the same level. These are just some of the rankings in the News Feed, but we think there is a lot more to be revealed during this year. If you find out something that works for you, and gives you a lot of publicity, stick with that, but don’t be lazy to improve it and try new tactics once in a while. Certainly, by now, businesses have become experts in advertising their products on Facebook. But, now with this new algorithm that will be a little bit more complicated. Businesses will need to reach to their customers, to sell their content and target their audience in the right way. They will need to do a thorough research to ensure their followers’ constant support. If you are a little bit confused by all of this, we certainly can’t blame you, but here is some good advice on how to run a successful ad campaign. For you, Hootsuite Academy has an advanced advertising course where you can learn how to pay attention to all of the tiny details. Bait comments are not a friend of the new algorithm! Surely, with this new algorithm, there will be some ‘’wise ones” out there who will think they can hack the algorithm just by using baits such as ”comment LIKE if you agree” or similar. Because of them, Facebook is getting even cleverer. This won’t be seen as a meaningful interaction and won’t help you get on top of the News Feed. These actions will be instantly ranked lower than the others as they don’t inspire any sort of meaningful conversation. Instead of inspiring those lazy comments to continue just that you get a boost in the News Feed, try some tactics that new Facebook algorithm is keen on. A good suggestion for making a successful thriving business is creating public Facebook groups. They connect your business with people and inspire them to talk about your product or service. If your business has a public group and people are constantly posting there, you found yourself a gold mine for the boost in the News Feed. The great example is Canadian skin care company Deciem. That company has a Facebook group where their followers post about updates, reviews or advice for better service and it has a more meaningful interaction with their clients. Keep in mind, that the crucial thing for you is to know what content people want to see, meaning you need to know your clients. The best way to do that is to constantly research your audience, run checks and ask your followers some questions about the services you provide. The best content is always the quality one, meaning that you have to invest something to get something in return, in this situation that is giving your followers well researched and constantly updated information. With a quality product, your followers will do the advertising for you, with their talking about it and recommending it, you will instantly succeed to get on top. As you already figured it out, trust is one of the most important things you should build, like in real life, right? With all those networks around us, Facebook wants us to make more real-life-like relationships. Business companies need to provoke some emotions, reactions, and to know what they are talking about, to provide the right and inspiring answers. The best way to do that is by asking some questions. If you are a serious business company then you certainly know what your audience prefers and what they want to know about. Even if you are not quite sure, you need to ask and inspire conversation, learn more about them; meanwhile, they learn about your business and product, which inspires people to trust you and your quality. New algorithm puts videos with meaningful comments from your family and friends in the first place but we all know that the best advertisement is when a celebrity comments your product. However, we all know that most of the brands on Facebook cannot access celeb product promos. Until now, that was a big disadvantage if you didn’t have a celebrity working for you. Here, in the picture now enter regular people who have a lot of followers, because they tried hard to gain their trust, not because they are a celebrity. Those people are called influencers and now they are more meaningful than a celebrity. So, if influencer posts on a behalf of your business or brand at their page, your brand will get an increase in a number of followers, because people are more likely to trust in someone who is just like them, a regular person, it has a more authentic and realistic meaning to them. That means that Facebook will give an advantage to common people, people who their community finds trustworthy. On the other hand, be careful, it doesn’t have to mean that the content it’s always good if the influencer posted it, it’s mandatory that that content has to be well researched and has to attract people to comment on it and lead a conversation about the brand or the topic. At his News Feed webinar, Mark Zuckerberg stated another important thing in his algorithm. He prioritized local news over the global ones. That is great for businesses that already target locally but it’s not that simple for the ones who work on a global scale. If you are reading this and you’re not quite sure how to work more locally, the advice is to try changing your geographical areas once in a while, or publish stories that include only some specific area, or even promote an event in a certain city. There are many ways to do this successfully, just be creative and innovative, this new algorithm wants you to think a little out of the box and be connected with your surroundings. There is one thing that is not changed with this new algorithm – the option for ‘’See First” in your News Feed. You can still choose what content do you want to see first and what’s your top priority. That means that business can ask for people to follow them and have a benefit from that, and it’s even advisable to encourage their followers to hit the ‘’See First” button. In the end, you cannot just post something and expect from your business to be an instant success. Just like in real life, you need to give something to get something back, you need to invest your time, creativity and will to make it work. This advice can help you with all social networks, not just Facebook, but you don’t have to follow them blindly to acquire a lot of followers or for your brand to succeed. The key is to always think of new ways how you can connect with people, inspire them and influence them in any kind of way that is suitable for your brand. Be a business that values people and gives them a quality service; get to know your audience and you won’t have to worry about achieving a certain goal. Success will come to those who work smart and honest.